Give us a call at 239-443-9925 and let us know how we can help you grow! 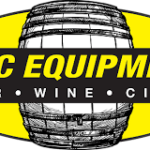 Call or Check for In-Stock Equipment. NOT JUST THE BEST PRICE? SPEIDEL & KREYER EQUIPMENT AND PROFESSIONAL TRAINING ON THE 200/500/1000 LITER BRAUMEISTER ALL OVER THE WORLD! *All Electrical and Plumbing work need to be done by your licensed Contractor.